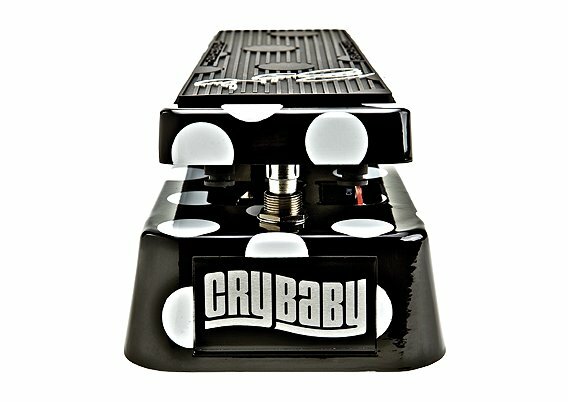 Cited as a major influence by wah-wah masters such as Hendrix, Clapton, and Vaughn—Buddy Guy helped establish the wah-wah as part of the blues vocabulary. Cited as a major influence by wah-wah masters such as Hendrix, Clapton, and Vaughn—Buddy Guy helped establish the wah-wah as part of the blues vocabulary. To honor his contributions we have created the Cry Baby Buddy Guy Signature Wah, featuring the Fasel Inductor for a sweet and singing top end, and two distinct user selectable wah voices—choose "DEEP" for a big and throaty growl, or "BG" for Buddy's own warm and bell-like wah tone. Convenient side-mounted LEDs indicate which mode you are in, while a separate LED indicates effect on/off. Let your guitar sing the blues in style with the Buddy-approved polka dot graphics and custom signature tread. 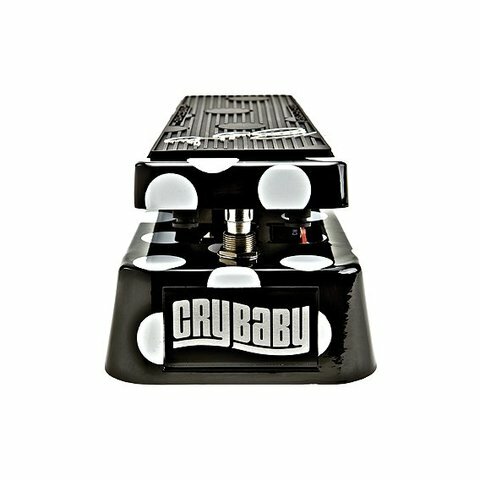 The Cry Baby Buddy Guy Signature Wah—available only from Dunlop Manufacturing, the world's leader in wah pedal technology..